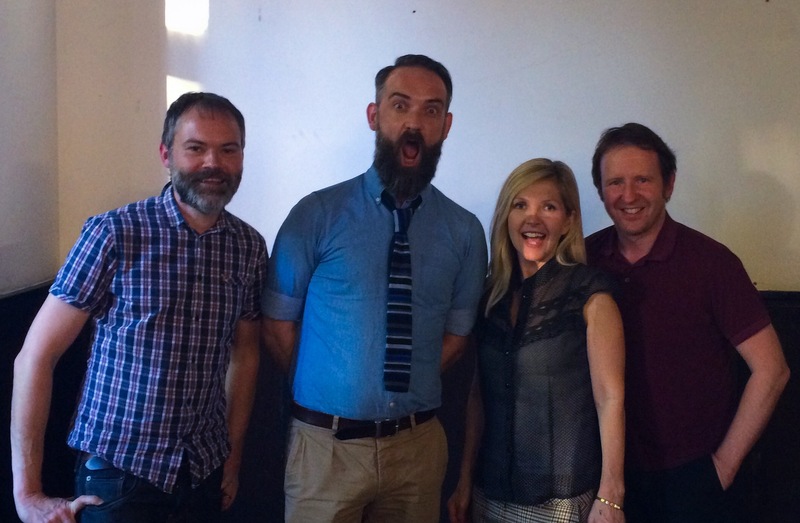 If I had a lab and made a pop group in a sort of Weird Science-y way, Saint Etienne is what I would come up with. When I chanced upon Foxbase Alpha in 1991 I immediately thought “Yes. You are my group.” That love affair continues to this day. 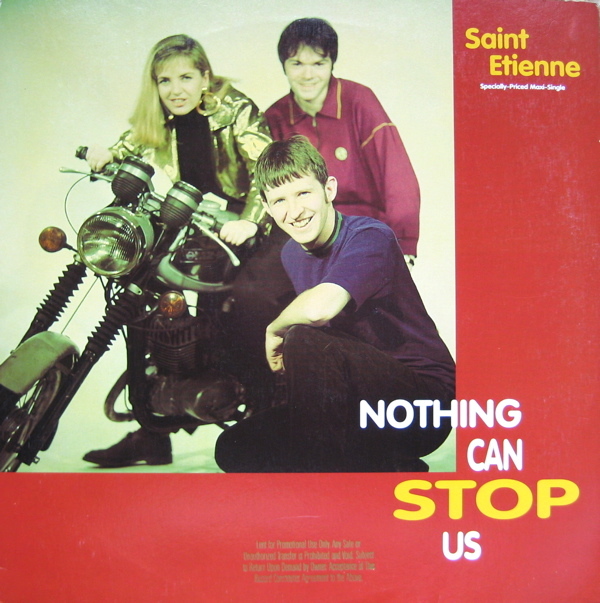 Nothing Can Stop Us was their third single, and the first to feature Sarah Cracknell on vocals. Based around a sample of Madeline Bell‘s I Can’t Wait Until I See My Baby’s Face, it’s a song that floats for its entire four and a bit minutes and as a result is one of the most joyous pop records I know. What I particularly love is the way Sarah speaks the verse – it’s like a conversation you might overhear late at night on the top deck of the 214 to Camden – all whispered confidences and hushed – perhaps slightly drunken – tones. Britain, it’s fair to say, was not quite ready for Saint Etienne. In the early summer of 1991 you either had to be huge down the student union (Blur, James,) huge down the clubs (Cathy Dennis, Crystal Waters,) or Cher. Saint Etienne were none of these things, but those that found them tended to stick with them, and they’ve been rewarded ever since. A couple of years into the nineties my best friend had sworn fealty to M People, and we had a bit of a competition going on to see which group’s single would enter the charts highest. He always won, but I like to think the ‘tienne had the last laugh. Time has dated M People terribly, but Saint Etienne‘s sound remains absolutely fresh and as exciting now as it was 24 years ago. Thank goodness for that. 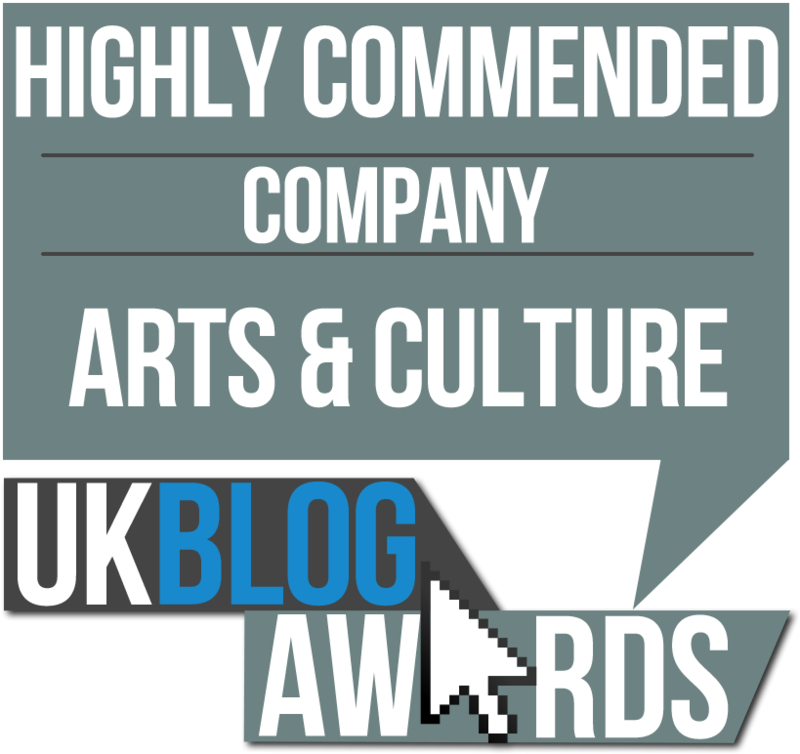 Ladies and gentlemen, what you’ve been waiting for – it’s me and the ‘tienne! Who could sing this today and have a hit? Well now. Saint Etienne actually produced a version of this for Kylie in 1993, and had Deconstruction not gotten cold feet we might have had an entire album, can you imagine? But today? NICOLA EFFING ROBERTS.